The history of EWM began in 1986 at the International Congress in Berkeley, organised by the American Women in Mathematics organisation. A number of women from across the world were invited to report on the position of women mathematicians in their countries. Some European women met at the panel and the idea to set up a European version of AWM was raised and they agreed to meet again in Paris the following year to discuss the idea further and begin planning the EWM structure. Roles for convenor, standing committee and coordinators was finalised in 1991. The 1988 meeting in Warwick UK included guests from Brazil and the Côte d’Ivoire. Funded by the Women’s Policy Division of the EEC, assisted by the London Mathematical Society a three day programme was planned, including an afternoon of talks and discussions for one hundred girls from local schools, and a day devoted to mathematics. After this meeting an email network and a directory of women mathematicians in Europe was established. For the Luminy meeting (1989) EWM received funding from the EEC, one of the conditions being to do some work on role models. History was made at this meeting, with representatives from most former Eastern block countries. In 1991 the European Mathematical Society set up a Women in Maths committee. 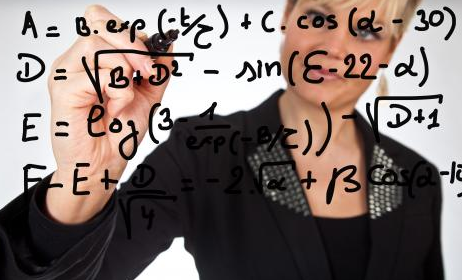 With EWM’s help, they collected statistics about women mathematicians across Europe. The WiM committee organised a round table discussion at the first European Congress of Mathematics in Paris 1992. By 1993 EWM had established an office in Helsinki and were registered as a legal organisation in Finland. EWM meetings became biennial, to fit inn between the International and European congresses. An email network for was set up at this time. At Trieste (1997) 3 women from developing countries received full sponsorship from the International Centre for Theoretical Physics (ICTP) to participate in the meeting. Representation from outside Europe included every Asia, Africa and South America. EWM also launched its webpage this year. In 2007 EWM worked with the EMS Women in Maths committee to set up a group of leading women mathematicians to advise on scientific programs and speakers for EWM meetings and other related events. In 2009 the meeting in Novi Sad, Serbia saw Ingrid Dabechies give three lectures, all of which were filmed and uploaded on YouTube.